The Mens Alpha FL Jacket from Arcteryx is a lightweight, 3-layer Gore-Tex jacket designed for climbers and alpinists looking to move fast and light. Made from N40p-X fabric, it offers maximum breathability and minimum weight and can keep up with you as you push yourself up the mountain or rock face. 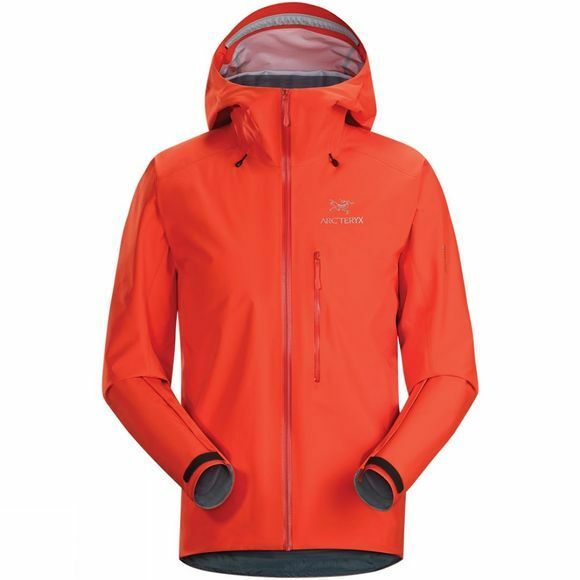 It features a Stormhood that is helmet compatible and Custom Cohaesive hem adjustments to help keep your jacket in place even when worn under a harness. When the weather improves, simply remove the jacket and stuff it in the included stuff sack and clip it to your harness or throw it in your bag ready for another rainy day.